Now video interactions can be accessible, responsive and productive. Magor (TSX:V MCC) develops and markets software that transforms the way we can interact with video. In 2007, we recognized that technologies for video communication had a bright future in delivering increased productivity to virtually all workers in tomorrow’s enterprises. However, no matter how high the video quality, how simple to use, how accessible or how inexpensive video conferencing solutions became, we saw that that there was a fundamental flaw impeding the fulfillment of this promise. The flaw is that when there are three or more locations involved (‘multiparty’), the video interaction is always limited to a single workflow model – a conference call. In a world that increasingly rewards people who can bring together the right people and information at the right time, the flexibility to choose when and how we access video, according to the task at hand, is what will elevate video to become a central form of communication. We, therefore, set our sights on delivering the missing ingredient for video interactions: a layer of flexibility to enable you to choose how you want to work. This goal called for a new architectural approach with a new suite of collaboration capabilities. 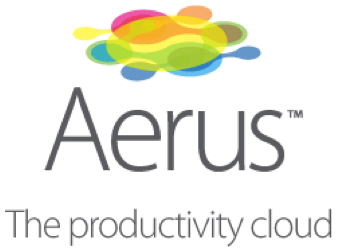 Aerus™ is a natural evolution of our platform to the cloud in delivering video interactions to the enterprise as a service with the capabilities needed to fulfill the promise of new modes for productivity at lower cost.